In one scene a soft serving of tofu doubles as a kotatsu, keeping warm its users who don’t know whether they want to fall asleep or eat. 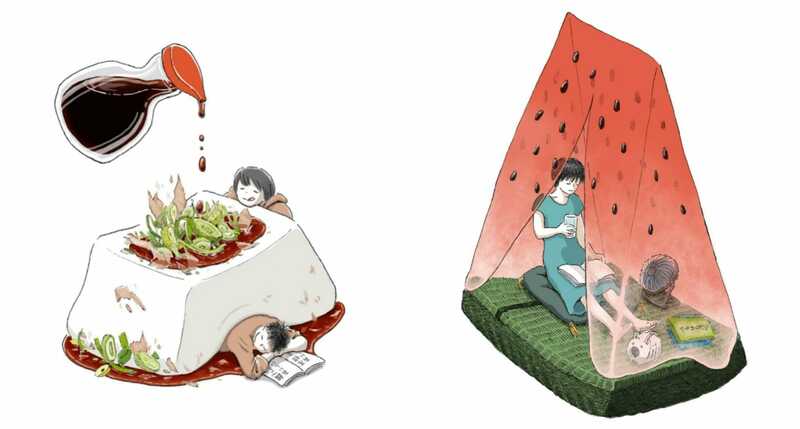 In another scene, a slice of watermelon doubles as a mosquito net in the summer, offering shelter to a young girl who is relaxing with a book and cool drink. 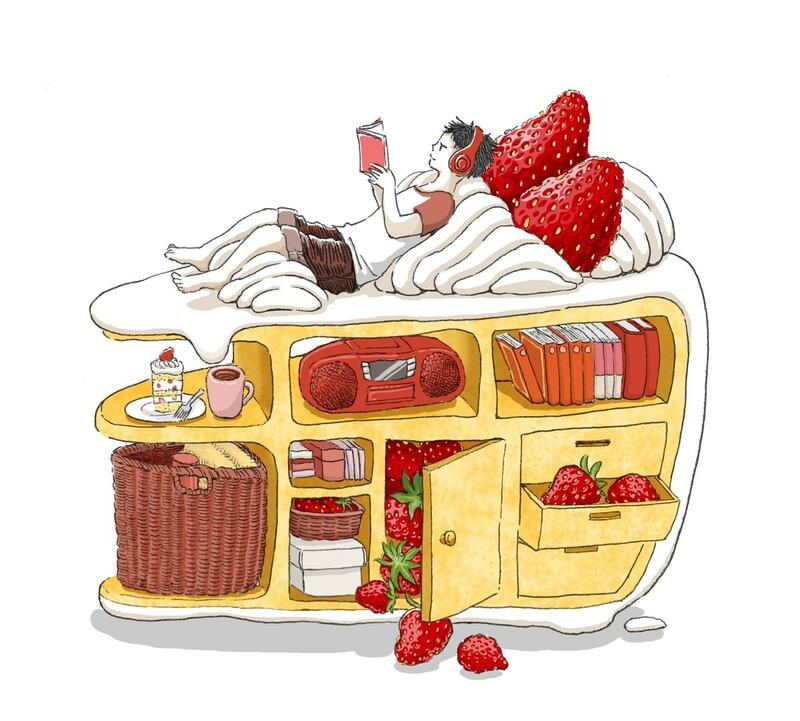 These are all the surreal creations of Marumichi, a Tokyo-based illustrator who blends fantasy and food to create scrumptious compositions. You can keep up with the artist by following their twitter account, where new work is posted. But beware: it may make you hungry. For a closer look at more mouth-watering illustrations, read the original article at Spoon & Tamago via the link below.